Since 2016, Little Learners in Virginia has enthusiastically been part of the NOVA Early Care and Education Learning Collaborative (ECELC) project. By participating in the collaborative project, the staff at Little Learners acquired knowledge on the importance of nutrition, physical activity, breastfeeding and screen time. They also discovered a myriad of ways they could bring new ideas to help the children, staff and families in their program. 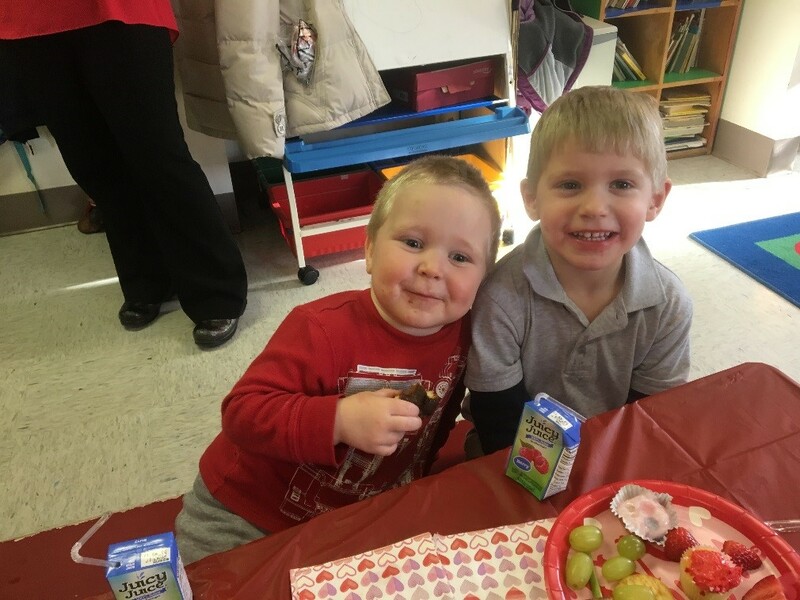 Recently, the staff introduced family style dining in their preschool classroom. The staff members were so worried the children would make a mess or they would find family style dining challenging to do; but to their surprise, the children were excited to be given the independence to serve themselves. They learned to use serving utensils, set the table and clean up after themselves. They also passed food around and shared it wonderfully. The children also began to recognize how to serve the appropriate portion size that would keep them feeling full. In addition, family style meals are now filled with lively conversations between the children and their teachers. The staff at Little Learners also celebrated “Rev Your Bev day” to teach children and their parents the importance of drinking healthy beverages. They created a Parent Education Board with information on how to make fruit infused water with children. They also provided information on the sugar content of many popular beverages. The children also played a fun memory card game, which involved matching pictures of healthy beverages. The center also hosted celebrations on the importance of health and nutrition beginning with “Kids in the Kitchen.” Parents of the preschoolers also participated by bringing in different kinds of fruit and vegetables. The children explored all sorts of food by touching, smelling and tasting each one. The staff also held a “Healthy Bodies Week” in which children sampled different fruits and veggies and rated them from 1-5 depending on which fruits and vegetables they liked the best. Lastly, the center created a new “Healthy Celebrations” policy in their program so each event can be celebrated with healthy treats instead of cakes and cookies. They began with their Valentine’s Day party, where children happily snacked on fruit and yogurt. The staff at Little Learners have learned so much through ECELC and cannot wait to continue introducing new ideas to promote health for all in their program. The KinderCare Learning Center in Celebration, Florida, is making profound changes to encourage parent involvement and education about nurturing healthy eaters. Center Director, Dawn Dalgleish, started making healthy eating resources and handouts available to parents, and they were eager to take them home and serve healthy meals.